When asked the question “what is the best outcome you would desire for your Amazon business?”, the overwhelming response would probably be “that it makes money”. That response (and goal), however, should be fine-tuned just a bit more. A more dialed-in answer would be “that the business is profitable.” A lot of businesses that fail each year are “making money.” Unfortunately, they were not profitable. ‘Profit’ is the metric that matters. absorb the inevitable highs and lows of running a business. While profit is important to understand (knowing your revenue and expenses), it is also vital to know and understand what your profit margin is because it is a measurement of your profitability. Profit margin is expressed as a percentage…the higher the percentage, the more profitable your business is. Profit margin reveals how much your Amazon business retains of every dollar from each sale made. 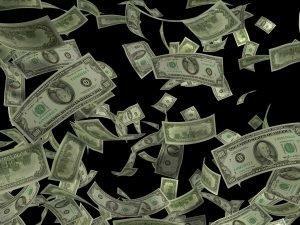 Profit margin doesn’t measure how much money you will make or could make, only how much is actually made on each dollar of sales. The profit margin on a product sold is the difference between your cost* and the selling price. Subtract the cost from the sale price to get the profit margin and divide the margin into the sale price for the profit margin percentage. You can change your profit margin percentage by increasing your revenue (more product sales – higher price points – reducing expenses). Consider your business, risk tolerance and the competition in your niche as you experiment with raising prices or reducing costs. Make small changes and gradually implement larger ones to avoid angering your customers and to prevent a too aggressive approach when increasing your profit margin, that could have an adverse effect upon your business. When calculating your business’s profit margin, choose the period of time you want to analyze. You have the options of using either months, quarters, or years. + Is it to compare your profit margin between different months in order to assess whether your profit margin meets your business needs? + Are you planning to live solely off the income generated by your business? Then you’ll want to take into account your profit margin and the amount of sales you generally make in a year. If you plan on reinvesting a portion of your income back into the business to develop it further, is the remaining profit enough to sustain your lifestyle? + Are you looking to attract investors? + Do you plan on applying for a loan? Investors and potential creditors will obviously want longer periods of data than a few months or quarters. + Are you comparing your profit margin to other similar businesses in order to determine if you meet certain standards or criteria? For example, if you are applying for a loan, your potential creditor will tell you what kind of profit margin they expect for your size and/or business type. It is ideal to compare two or more businesses in the same niche and with similar revenues in order to make the most of the comparison. However, there is one important caveat to keep in mind when comparing profit margins. Some Amazon sellers may have higher profit margins compared to other sellers simply because of the economic factors tied to the specific niche that they conduct business in. For example, someone who sells digital books, or a digital information product will likely have profit margins that are quite high because there is little overhead. If you, however, are selling physical books that require investing in the manufacturing of them or purchasing them wholesale, along with other costs like storage and shipping; while your business may be profitable, the profit margins associated with it will likely be significantly different. #1 Operating profit margin – a calculation of how much of every dollar in sales ends up as operating profit (pretax) for your business. For example, if you had $250,000 in sales and ended up with a pretax profit of $62,500, your operating profit margin would be 25 percent. Operating profit margin indicates how profitable your business is overall. #2 Gross profit margin – a measure of how much money is left over from each sale after you take out what it cost you to manufacture or acquire the product just sold. This number is often misunderstood and poorly leveraged within businesses. It tells you exactly how much money you have left to spend on marketing, fixed overhead, etc., to still have enough left over to have a reasonable profit for your time, effort, and risk. Gross profit margin is calculated by subtracting cost of goods sold (COGS) from total revenue and dividing that number by total revenue. The top number in the equation, known as gross profit or gross margin, is the total revenue minus the direct costs of producing that good or service. Knowing this number helps you to figure out which customers, products and projects are the best ‘margin business’ to pursue, and which you should consider phrasing out or eliminating immediately. Your Gross profit margin number also can help you to identify inefficiencies in production and serves as a good indicator of the overall efficiency of your business. Net profit margin is the ratio of net profits or net income to revenues for your business or a product. Usually, investors will refer to net profit margin as the ‘net margin’ and describe it as ‘net income’ divided by total sales instead of using the term ‘net profits’. If your Amazon business has a net profit margin of 30%, this means your business makes 30 cents of profit for each dollar of sales. Net profit is calculated as gross profit minus administrative expenses and other relevant expenses. It includes regular operational costs like payroll, FBA fees, taxes, VAT, promotion costs, returns, etc. Create personalized promotions and special pricing. A careful analysis of your customer shopping preferences can reveal shoppers who will a) convert at full price, and b) those who will seek out bargains and only put in their credit card numbers when they feel they are getting a deal. Use this important information about customer spending habits to craft sales and promotions for each of these specific types of shoppers. For example, use sales restrictions to help keep your business’ gross profit margins up (a product is discounted 30 or 40 percent off with a $200 or more purchase). Create ‘bundles’ comprised of low margin items paired with higher margin items to help keep your business’ overall gross profit margins up. For example, instead of selling a gaming system by itself, sell lower margin video games bundled with it. Create a higher ‘perceived value’ for your products. It may seem counter-intuitive to want to pay more for products that can be found elsewhere for less but paying more seems to make customers feel good about themselves and feel superior about their choices. Tap into these feelings (the customer’s willingness to pay more for what your marketing has convinced them is a superior product), to help maximize your gross profit margin. 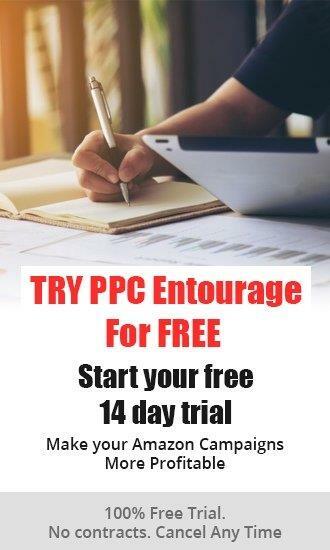 Using the technology available to you like PPC Entourage (and the soon to be released Entourage Margins software tool), as well as by taking advantage of free educational resources (2019 Blueprint Series) are also some of the best ways for helping to keep your gross profit margins consistent and at maximum numbers. Improve your Sales Velocity. The faster your turnaround time (from order to final delivery), the lower your overhead cost per unit produced. This in turn means improved profit margins. Overhaul your fulfillment systems in order to speed up the order to final deliver process. Consider which steps can be automated, shortened, or done away with entirely. Create an improved customer experience and delivery cycle that is faster. All things being equal, this improved speed should lend itself to facilitating better margins. Up-sell and cross-sell to increase your average unit of sale. In general, by increasing the amount sold to your customer at one time, you’ll improve your margins, because you’ll be increasing the purchase velocity and therefore lowering your cost per sale in terms of overhead burden. By cross-selling complimentary items, you can amortize your marketing cost over a larger unit of sale, which dilutes your marketing cost for each sale and hence increases your profit margin. Focus on customer retention. Do everything within your power to make sure your customers are return customers (keep purchasing from you). Attrition eats away at your margins. Eliminate low-margin products and high-maintenance customers that eat up your precious time (time is most definitely money) and use the saved money and time to invest in the higher producing areas of your business. If you aren’t doing so already, start tracking the impact that your different products and customers have upon your margins. Armed with a ‘margin analysis report’, you can improve your margins over time because you’ll be able to see which products and customers are the most and least profitable. When an Amazon seller is first starting out, odds are that his or her margins are decent or even spectacular. After-all, there usually isn’t any substantial overhead expenses, or a large staff to be paid. But with time as the sales figures reach new benchmarks and more cash comes pouring in, their margins may shrink because they are now spending that money to make more money…expanding their product line/categories and bringing on people to manage the increased business. Bringing in more cash doesn’t mean they’re making a larger profit. The takeaway here is that every seller should review their expenses and revenue at regular intervals (7 days, 30 days), to monitor the various drains upon their margins. Ideally, there would be a software they could use that would accurately and consistently provide a concise profile of their business’ Margins. Doing so will not only reduce stress, but also provide a clear blueprint to help them to establish clear action steps for increasing their margins (profitability), and methodically growing their businesses.